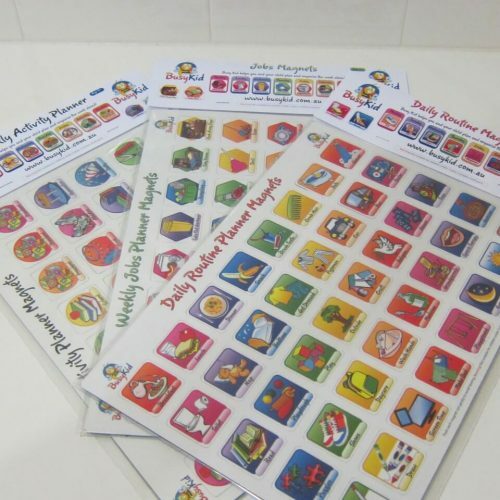 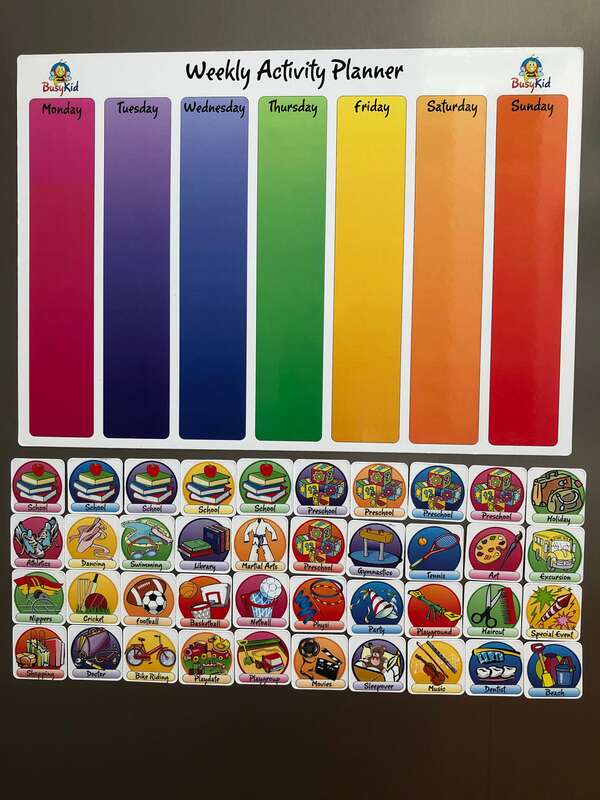 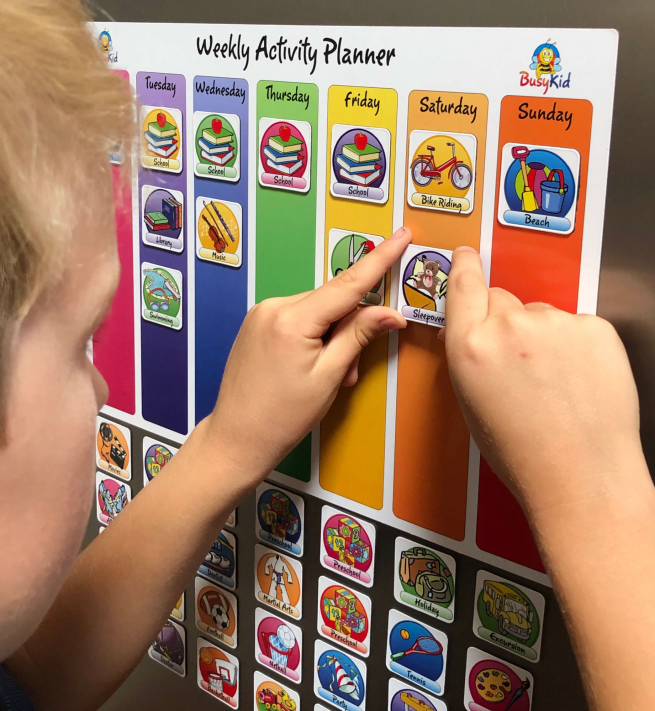 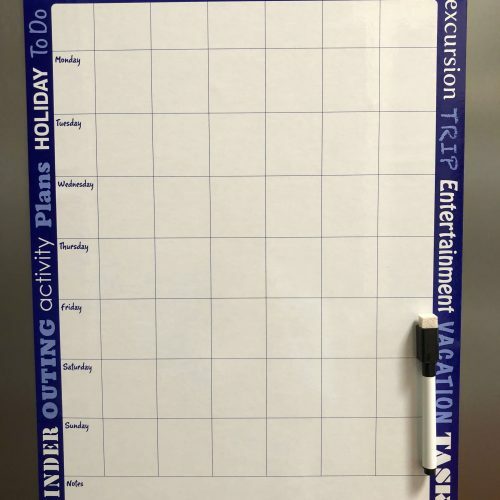 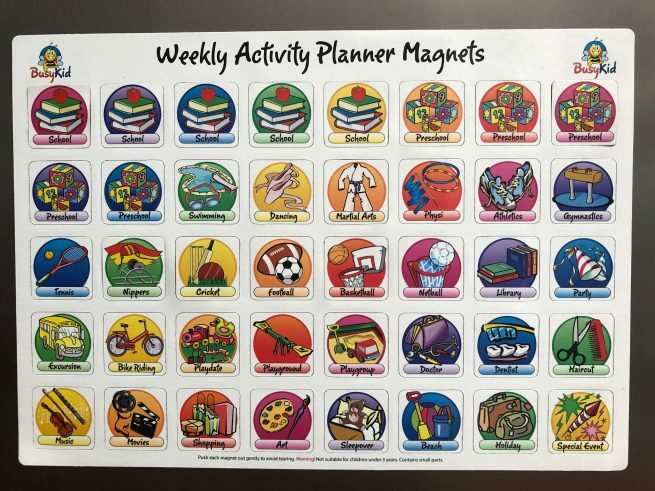 The Weekly Activity Planner helps children plan for and keep track of key weekly tasks and after school activities. 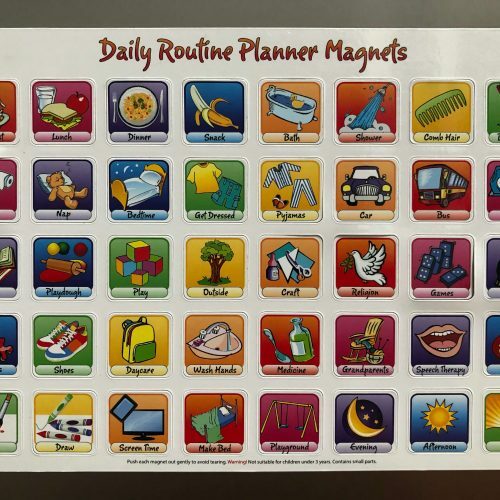 This planner helps build good daily habits of self organisation. 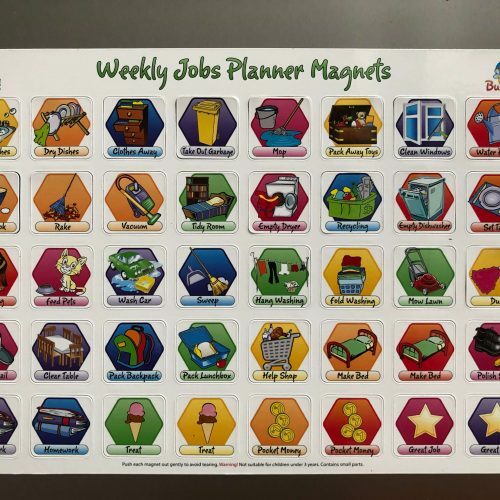 The base magnet measures 340mm x 240mm and the individual magnets each measure 30mm x 30mm.